with an efficiency of 99.995% @ 0.2 micron. 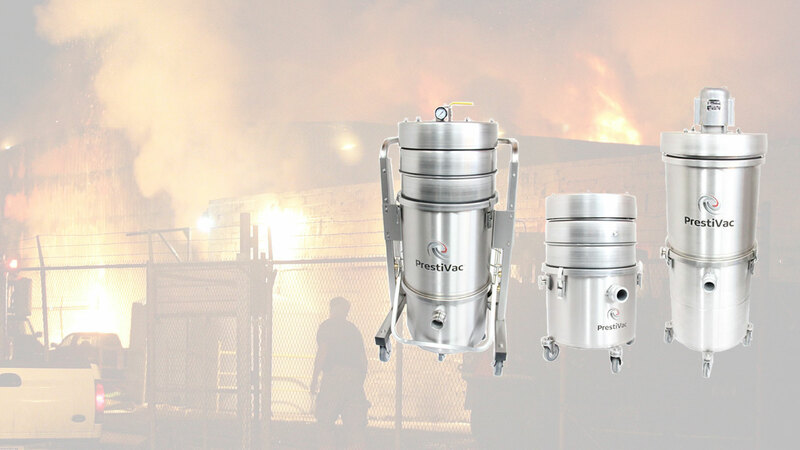 PrestiVac specializes in design and manufacture of Legally Certified Explosion Proof Industrial Vacuum Cleaners for Contamination Controlled Environments and Hazardous Locations. 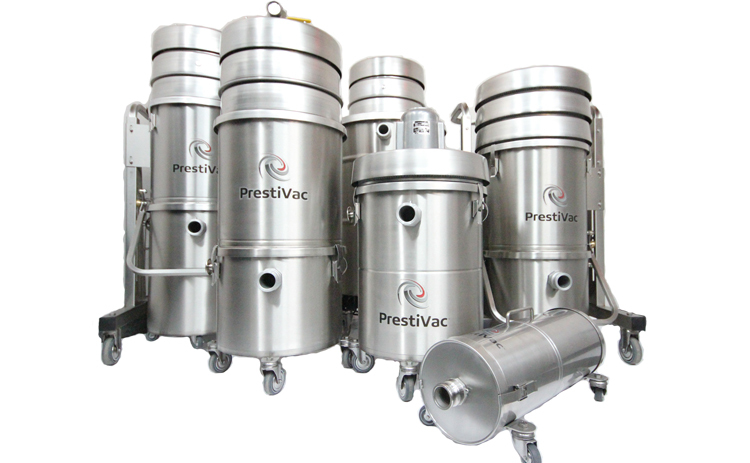 PrestiVac is an innovative designer and manufacturer of technologically advanced and premium quality industrial vacuum systems for a wide variety of industrial operations. 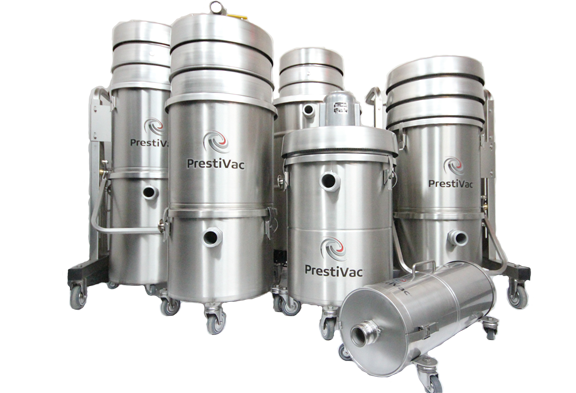 PrestiVac Explosion Proof / Dust Ignition Protected Vacuums are specifically designed to safely vacuum explosive, flammable and combustible dusts. Our explosion proof/dust ignition proof vacuums are completely grounded and static dissipating. They are built entirely with non-sparking metals and do not have any painted components so there is no risk of fire or explosion from a spark or static build up. Our Explosion Proof / Dust Ignition Protected Vacuums comply with NFPA 484 guidelines and are an effective tool for good housekeeping practise as per OSHA. 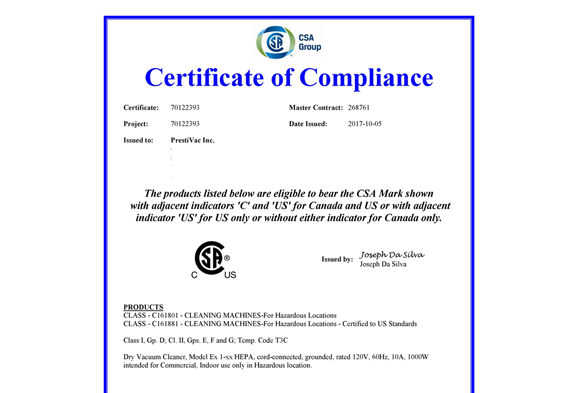 PrestiVac Inc. can customize or modify our vacuum cleaners to meet your specialized needs. 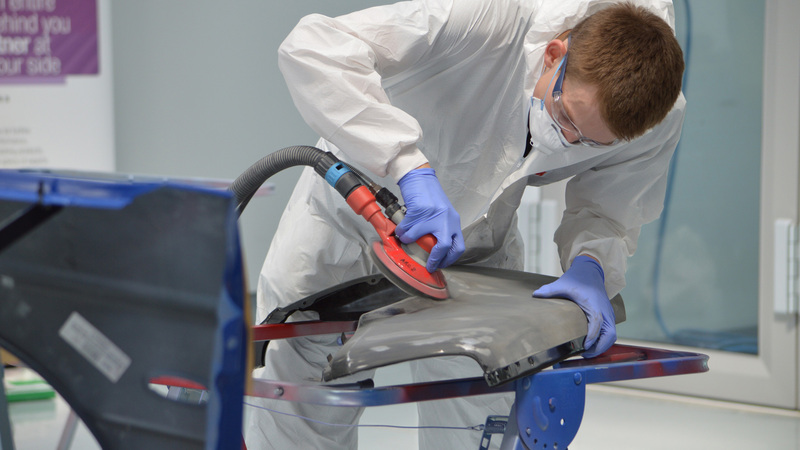 Our team of professionals are eager to help you, and as we are manufacturers, we are able to build a vacuum cleaner specially to meet your needs.